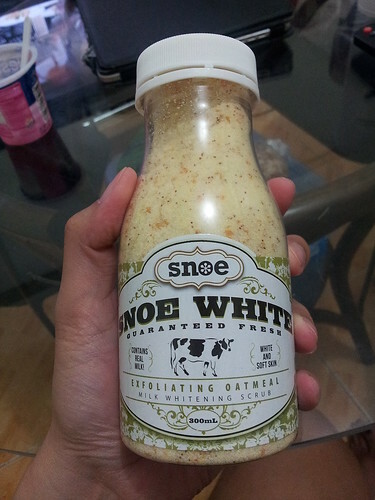 Snoe Beauty’s Exfoliating Oatmeal & Milk Whitening Scrub – I have been using this for a while now. 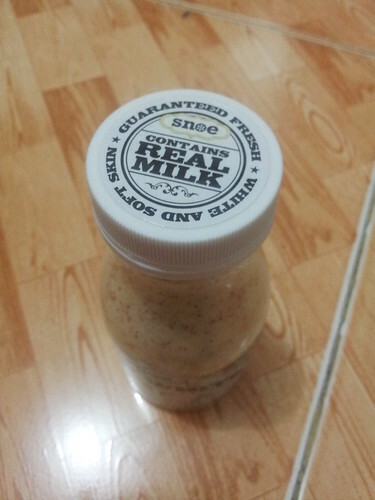 It’s a nice, dry scrub, which smells like Nido Powdered Milk. Haha. It’s my first time to use a dry scrub regularly, and it leaves me feeling refreshed. (I don’t really care about the whitening aspect of this product, or any product. Love your skin color!) Click here if you want to buy. 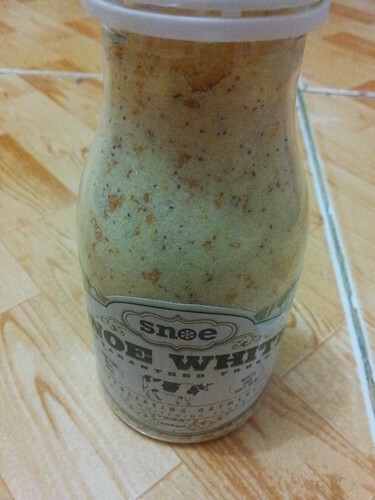 I’ve also been using the mini Beauty Bars that I got from Snoe Beauty for free with my order a while ago. I might get the full sizes in the future. 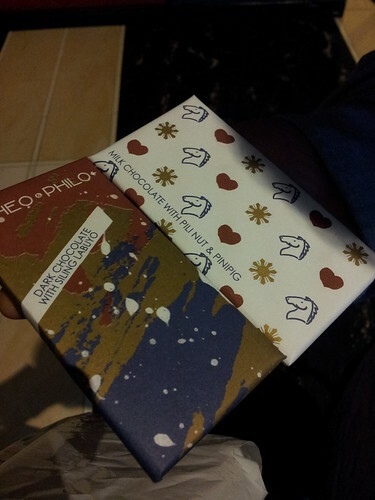 Theo & Philo chocolates – We were at Aji Ichiban at the Power Plant Mall when we saw these at the counter! Finally! Locally made chocolate bars, yo. Not too sweet! We love both variants. 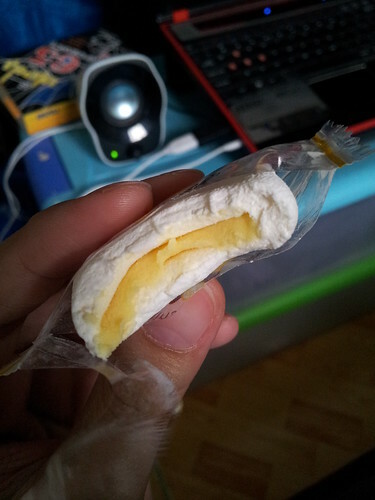 Except when I bit into the Dark Chocolate and chewed on a large chunk of siling labuyo. That was a shock. Burned my tongue, but I will still buy this. PhP 100/bar at Aji Ichiban. We actually just wanted to buy this. Pudding! 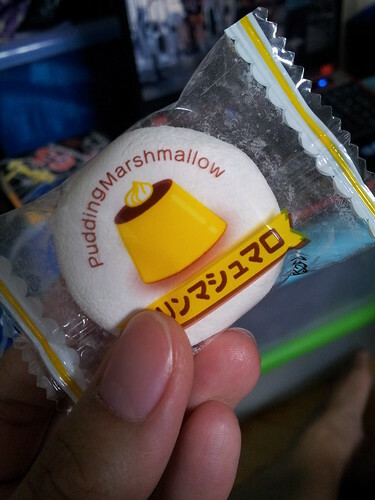 In a marshmallow! The best. 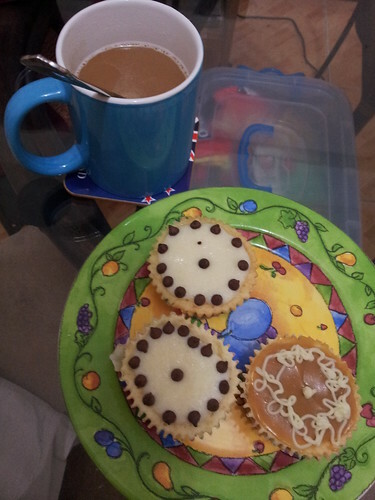 And to cap the day, some cupcakes from Sweets N Things, and coffee. :) How was your Tuesday? This entry was posted in beauty, food. Bookmark the permalink. Get the green mango variant from Theo & Philo! They sell online. Oh right, sorry, my sister did a bulk order last Christmas, kaya I thought they sold online.